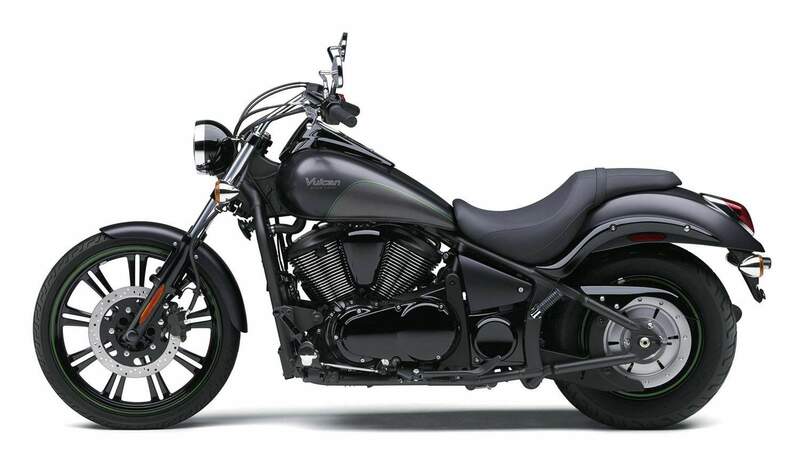 The Vulcan® 900 Custom shares all of the attributes of the Vulcan 900 Classic but features custom styling with 21-inch front tire, drag-style handlebar and blacked-out parts that help present a more aggressive appearance. Riders around the world graciously accept the Vulcan® 900 Custom motorcycle because it is different from the average cruiser. The machine’s custom styling exudes attitude, from its tall front tire to blacked-out mufflers. 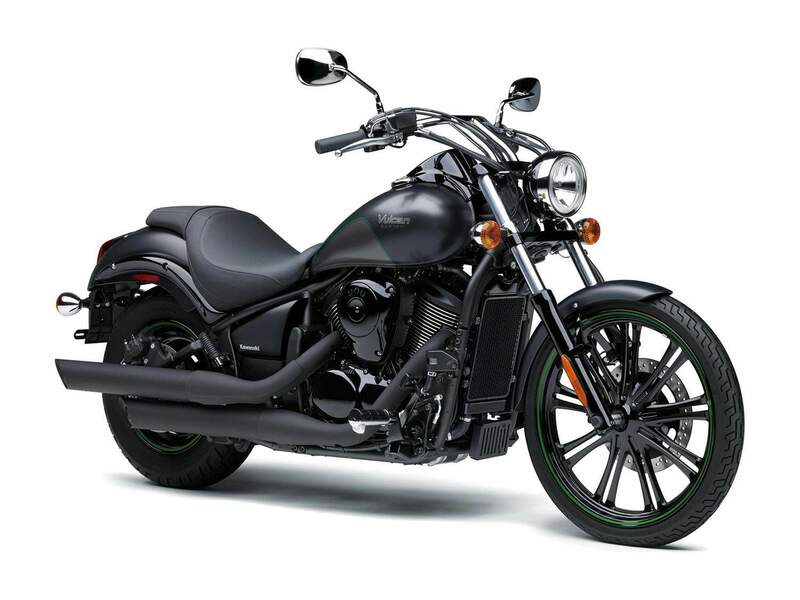 In addition, the drag-style handlebar, low-slung gunfighter-type seat and forward footpegs put the rider in the perfect position to get the most out of this easy-to-ride, powerful and dependable Kawasaki cruiser. Kawasaki designers and engineers focused on delivering a motorcycle with an appearance that can typically only be found on hand-made custom builds. A massive rear tire, stylish front-end accentuated by a thin 21″ cast wheel and meticulously sculpted bodywork are standout features of the Vulcan 900 Custom motorcycle. The front wheel features spokes arranged in pairs, which complements the lightweight appearance of the front-end, while the wide 180mm rear tire on a 15″ solid look cast wheel gives a boost of confidence with the feeling of sitting on a made-to-order motorcycle. Bridging the visual contrast between the front and rear wheels is an ultra-sleek fuel tank. Its flowing lines easily lead the eye along the delicate curves that bring together the highly customized form of this mid-sized cruiser. 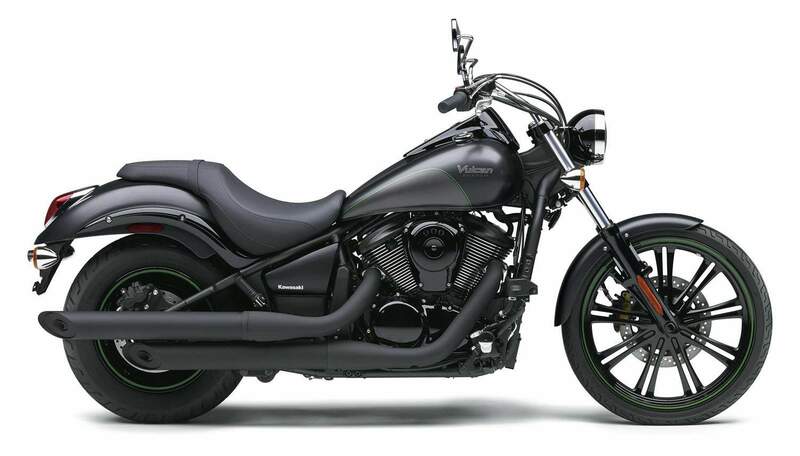 Ready for local streets to interstate highways, the Vulcan 900 Custom motorcycle combines excellent power, effortless maneuverability and exceptional looks, making it the cruiser to own. The Vulcan 900 Custom is a factory built custom bike that really stands out from the crowd – it is the result of Kawasaki’s pursuit of the essence of a true custom motorcycle. A study in contrasts, its low-set rear, massive rear tire and solid disc wheel are juxtaposed against a clean and lightweight front end.